A total of 31 round brilliant-cut diamonds adorn much of the circumference of this elegant ring, making it a wonderful statement of eternal love. 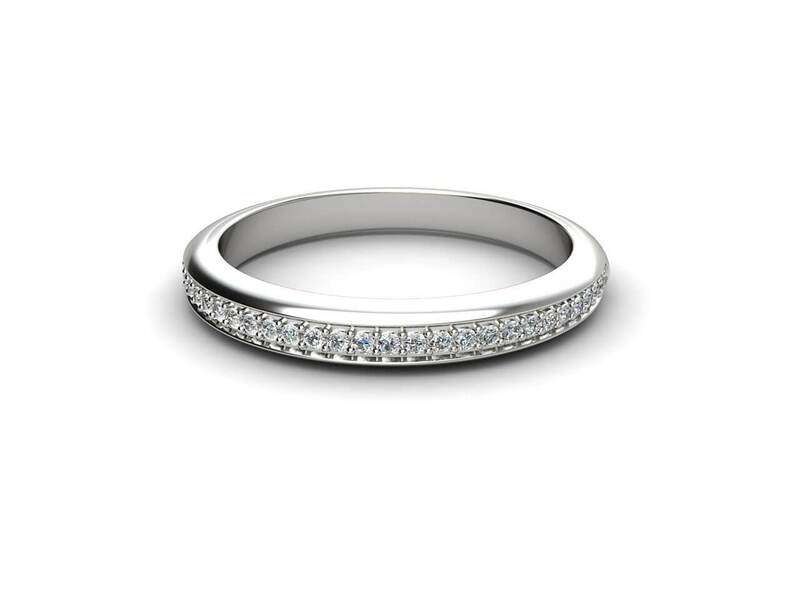 A traditional choice, round diamonds work perfectly in this creation, both catching the eye and winning the heart. Together, they add up to 0.12 carat. The band, meanwhile, features the distinctive Joseph George logo on the inside, your assurance of quality and uniqueness. 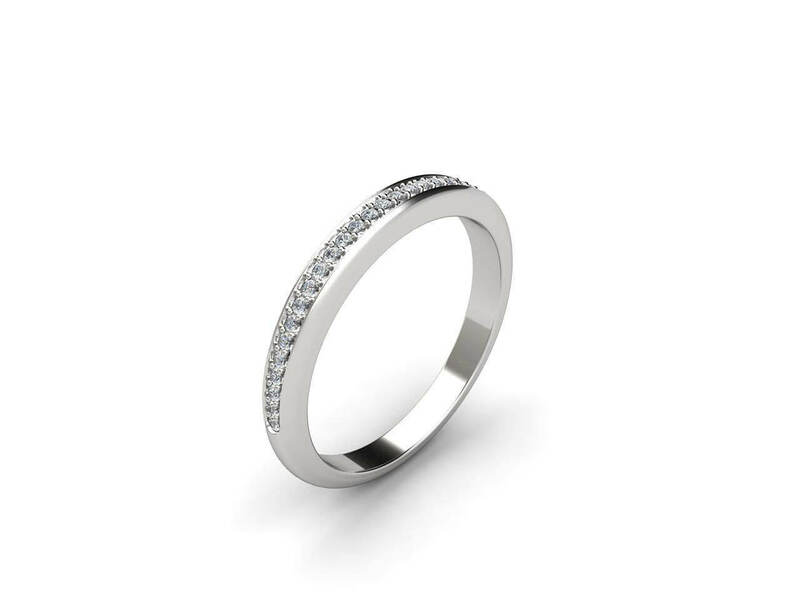 It can be fashioned in 18k white gold, yellow gold or platinum. 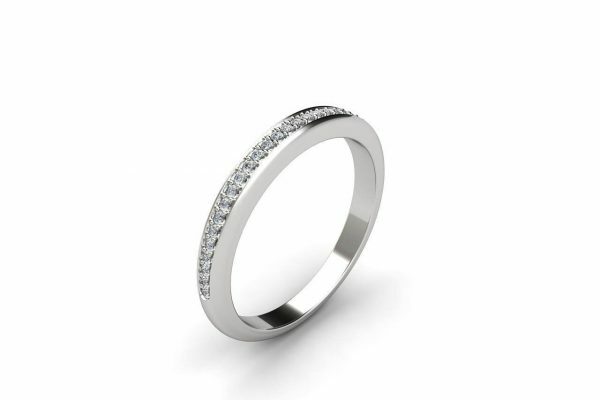 To complement this timeless wedding ring, have a look at the Kalypso or Tyffany engagement ring, linked below.